Dr. Nugent, why is professional teeth cleaning important? The main objective of professional teeth cleaning is to prevent gum disease (periodontal disease) and to make your teeth whiter. 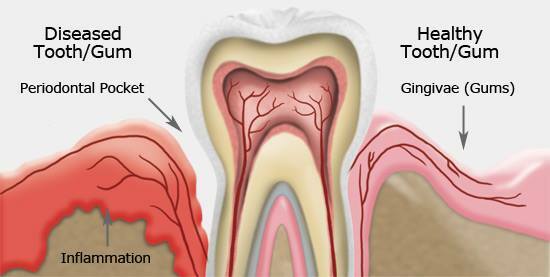 Gum disease is the primary cause of tooth loss in adults over age 30. The bacteria and infection from gum disease destroys gum tissue and bone. With no foundation, teeth simply fall out. Furthermore, untreated periodontal disease is associated with medical complications such as heart attacks and strokes. That’s why it is very important to schedule visits every 6 months. •Removal of plaque: Plaque is a white sticky substance that is an accumulation of bacteria on your teeth. 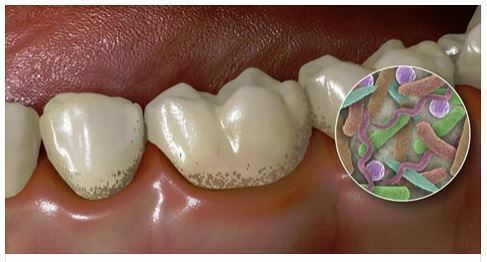 The plaque keeps bacteria in constant contact with your teeth where the bacteria release acid and destroy teeth. •Removal of tartar: Tartar (calculus), is plaque that has become mineralized. Tartar cannot be removed with a toothbrush. An area of tartar provides rough surfaces for bacteria to live. The tartar irritates the gum tissue and leads to tissue and bone loss. •Polishing: Polishing removes stains on the outside of the teeth and leaves teeth whiter. Also, polishing cleans and leaves the surfaces of teeth clean and smooth so plaque can’t stick to the teeth. Patients from Pasadena, Deer Park, La Porte, League City, Friendswood and Houston trust the expert dental care of Michael Nugent DDS. Dr. Nugent is known as “The Pasadena Texas Dentist” and has won Best Dentist in Pasadena, Texas multiple times. Don’t you want the best in dental care? Call our office to schedule an appointment.